Welcome to Roaming Rally 2017! 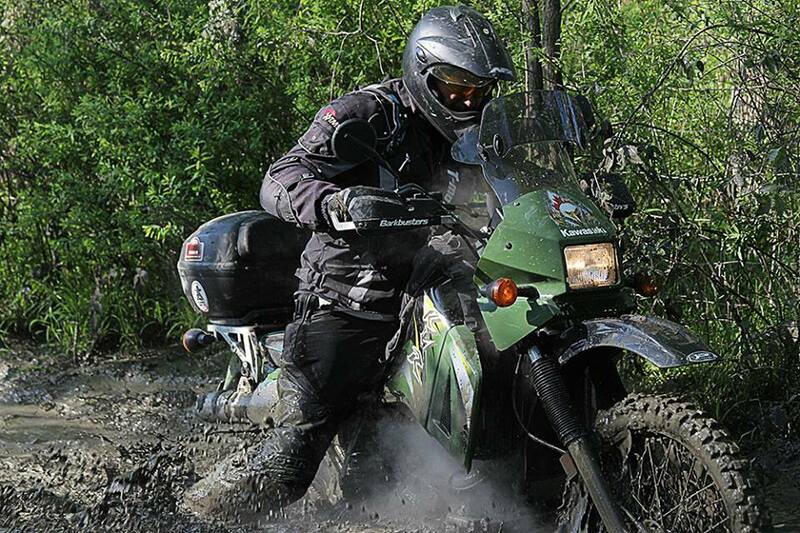 We are proud to be hosting our 7th annual rally which will allow riders the chance to discover Eastern Ontario. Based on the positive feedback from last year & with a goal of always keeping things fresh, two events have been created. The 1st & our most challenging route to date for Motorcycles will be hosted from Thursday May 25 to Sunday May 28. The 2nd will be a Truck category beginning Friday May 26 to Saturday June 3. Separate routes have been created for each category with occasional overlap camping at the Basecamp. If this is your 1st Roaming Rally or your 7th a reminder that this is a non-competitive navigational event. A GPS device is required to navigate the backcountry roads & trails. The goal is to combine the love of camping & exploration through Canada’s vast backcountry with like minded adventurers. The actual riding or driving is geared to be mentally stimulating while physically testing. Therefore, individual participants, crews or teams are required to be prepared for a self-sufficient adventure environment. The Roaming Rally is designed for experienced riders/drivers & navigators with appropriate equipment, mechanical knowledge & backcountry experience. The GPS routes cover everything from trails, logging, paved, residential, highway & thick country gravel roads. Conditions on the course will include water crossings, mud, sand, hills, steep inclines & rocks all exposed to weather variances. In summary, be prepared for any course conditions, unpredictable terrain & mechanical ingenuity. The last new element for the 2017 Rally is an 11-acre piece of land, solely acquired for creating an appropriate ‘Basecamp’ experience. This land will allow for basic off the grid camping for both bikes & trucks. The bikes will camp at the Basecamp location on the 1st & 3rd event nights. The trucks will use this location for the entire event. The Basecamp will host outhouses, a fire pit & recycling/garbage service. The flexibility to leave hauling trailers, vehicles or your camp set up is encouraged as the site will be fully supervised. For further information regarding the Basecamp or any other element of the event please refer to the individual write up sections. Once again on behalf of Gravel Travel & our Roaming Rally team we thank you for your continued support & look forward to a safe & successful sporting season. We are proud to announce the following companies as sponsors of the 2017 Roaming Rally. A huge thanks for their support! CORE Outfitters is go to resource for parts and products for overlanders in Canada. We are proud to have them a sponsor for this. Indestructable mirrors for dualsport bikes, not much else to say other than we thankful to have them a sponsor this year. Info, reviews and stories about overlanding in Canada. We are stoked that they are coming to the rally this year as a sponsor and look forward to their writeup/review of the event. FrontRunner Outfitters makes the best equipment in the industry, period. We use them on our trucks so we say this with first hand knowledge. We are excited they have enlisted as a sponsor for the rally this year.